Dr. Mick Meiselman joined our medical group in 2015 and oversees our new Advanced Therapeutic Endoscopy program. He attended Northwestern University Medical School in Chicago, Illinois. After Medical School, he completed his internship and residency at Cedars-Sinai Medical Center in Los Angeles, California, followed by his fellowship in Gastroenterology at the University of California, San Francisco. Prior to his relocation, he was Chief of Advanced Therapeutic Endoscopy for NorthShore University HealthSystems and Associate Professor of Clinical Medicine at University of Chicago Medical School. Currently, Dr. Meiselman is the Director of Advanced Therapeutic Endoscopy at Sierra Vista Regional Medical Center and brings novel technology including endoscopic ultrasound, advanced ERCP, and ablation of Barrett’s Esophagus to the Central Coast. His clinical interests include diseases of the pancreas and biliary tract and colonoscopy. He has performed clinical research on acute pancreatitis and authored over 30 articles in peer reviewed medical journals. He is Board Certified in Gastroenterology, a Fellow in both the American Society of Gastrointestinal Endoscopy and American Gastroenterology Association, and the current American Society of Gastrointestinal Endoscopy Foundation Board treasurer. He is an avid exercise enthusiast and family man. 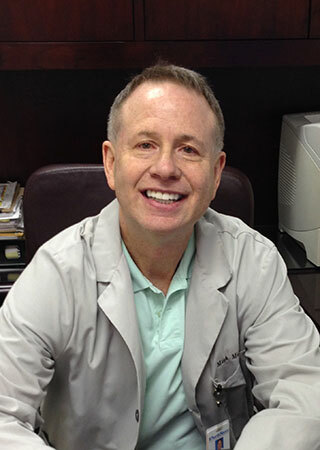 Dr. Meiselman maintains offices in Pismo Beach and San Luis Obispo.